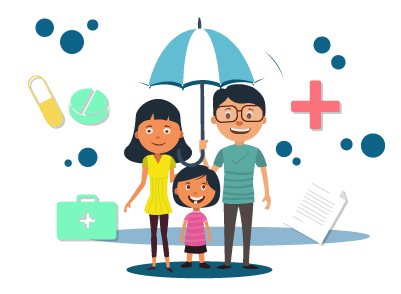 How to Check IDBI Federal Life Insurance Policy Status? If you are a life insurance policyholder, you might like to keep track of your policy status in order to keep up with your claim details, premium payments, etc. The advent of the Internet has made it easy for customers to get any kind of information they want with regard to a life insurance policy. IDBI Federal is one of the renowned firms in the Indian life insurance industry. Similar to other top players in the industry, the company provides easy ways for customers to access information about their life covers. You can find the login button at the top right corner of the homepage. Once you click on the login button, you can open the portal for signing in. Enter your username and password to sign in to the portal. Here, you can see all the details about your registered policy. If you have multiple policies, you can click on the specific policy to know about its policy status. On the resulting page, click on ‘register’ to open the page where you can sign up with your policy details. On the sign up page, enter your mobile number, password, date of birth, and email ID. You must also verify your mobile number in this step by generating a one-time password. Once you have created an account, you can register your policy on the website and start tracking your personal information. If you have a query about your policy, you can always contact the customer service department to get your doubts clarified. It is better to keep your policy information or application number handy when you call the customer service department. Call the toll free number 1800 209 0502 and speak to the customer service executive of the company. The customer service department works from 10:00 a.m. to 6:30 p.m. on all weekdays. When you provide your policy number, the customer service executive will be able to provide the status of your policy. On the right side of the homepage, you can find a floating menu with an arrow symbol. Click on the symbol to open the floating menu. You can find the button labelled ‘track application’ on this menu. When you click on this button, you can open a new page to track your application status. On the resulting page, enter your application number and date of birth to track the policy status. You can reach out to the company through email at support@idbifederal.com. When you write to the company, mention your policy number clearly and ask your query. The company will respond to your request in 24 to 48 hours. If you are not able to use any of these methods, you may directly visit the company’s branch office and request an update on your policy status. You can locate the nearest branch by clicking on the ‘locate us’ link provided at the bottom of the page. Checking the status of your life insurance policy helps you stay updated with your policy details. Most importantly, it helps you plan your finances effectively for premium payment. If you have subscribed to an investment-oriented scheme, you may use the status to plan your investment goals arising out of maturity payments. IDBI Federal provides these options for its customers and helps them stay up-to-date with the knowledge about their life insurance covers.